For children under 8 years old. 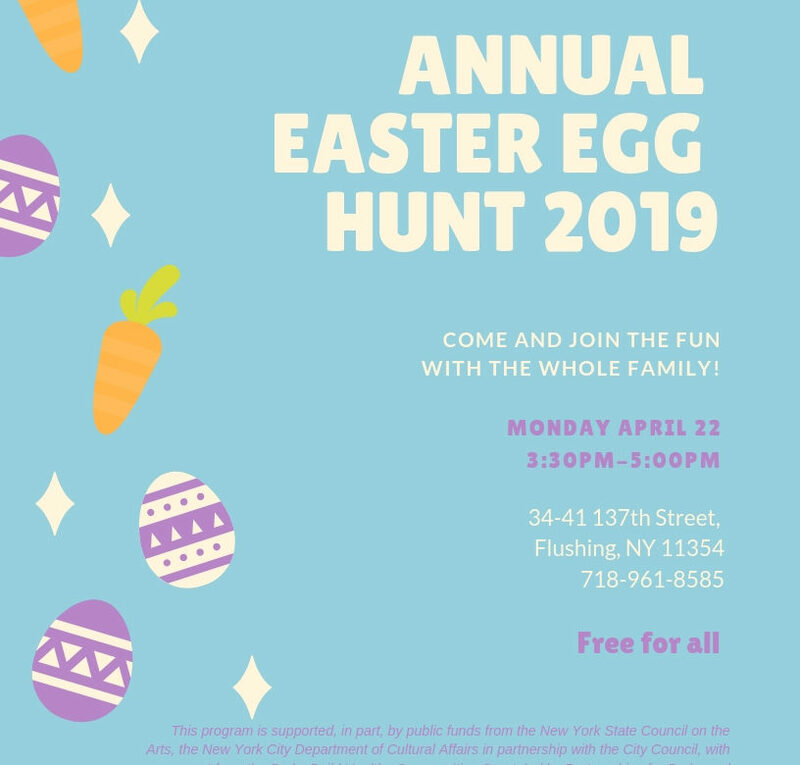 Come join the fun with the whole family! 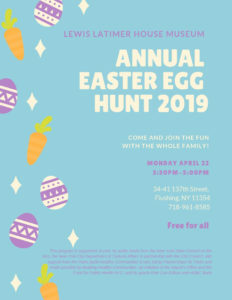 Enjoy our annual Easter egg hunt in the garden of the Lewis Latimer House Museum. Free to the public. RSVP required. This program is supported, in part, by public funds from the New York State Council on the Arts, the New York City Department of Cultural Affairs in partnership with the City Council, with support from the Parks Build Healthy Communities Grant, led by Partnerships for Parks and made possible by Building Healthy Communities, an initiative of the Mayor’s Office and the Fund for Public Health NYC, and by grants from Con Edison and HSBC Bank.